Brad tricked me. He sent me this vid titled “Steve Vai Hand on Heart – Carvin DC400 PreSonus Studio One.” I got all excited, and clicked the link, and it started to play, and I was all “HOLY CRAP NO ONE TOLD ME WE SIGNED UP STEVE VAI.” Then the camera panned back from the guitar, and I realize it’s PreSonus artist Phil LaBarge! 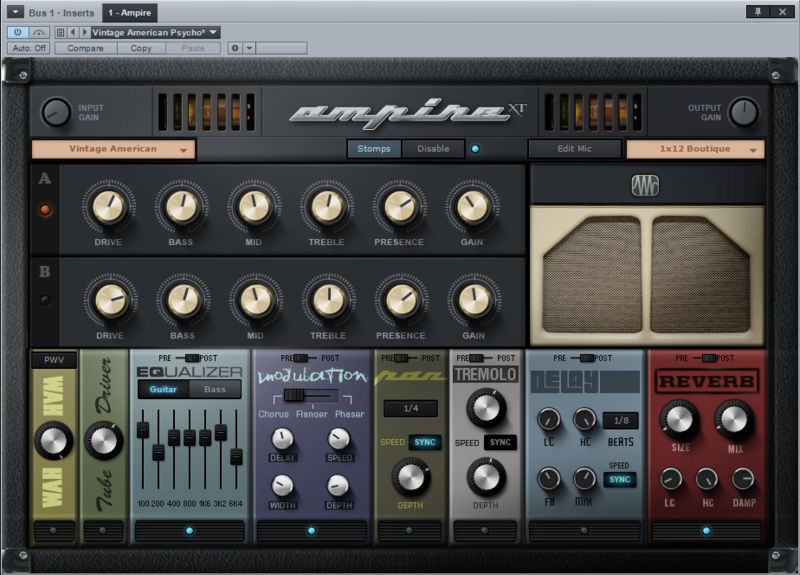 And not only does Phil play like Steve Vai, but he sounds like Steve Vai, thanks in no small part to the painstaking amp and cabinet re-creation algorithms of Ampire, the amp modeling package included in Studio One. So, I guess it’s not all Brad’s fault. Our software engineers had a lot to do with it; listen for yourself! Sonically, it’s all here: buttery, polyunsaturated, gently delayed 80’s tubey-tone that makes me want to head down to the beach to practice my Karate Kid crane kicks. With Ampire, you can fool your fans and have them thank you for it. Thanks Phil! With Ampire, you can fool your fans and have them thank you for it. Where else does that happen?! Thanks, Phil! Big thanks and a firm handshake to Live2PlayNetwork for this vid. Ken Rengering grabs us by the ear and takes us through his StudioLive 24.4.2′s workaday rigamaroll. This vid offers a worm’s eye real-deal look at applications for the StudioLive in a live setting. Ken shows us his tricks of choice, using the 24.4.2’s effects functions and routing both creatively and functionally. All this hands-on know-how is set against the cozy, familiar backdrop of setup racket and roadie-yammer that any live engineer can relate to. Thanks guys! 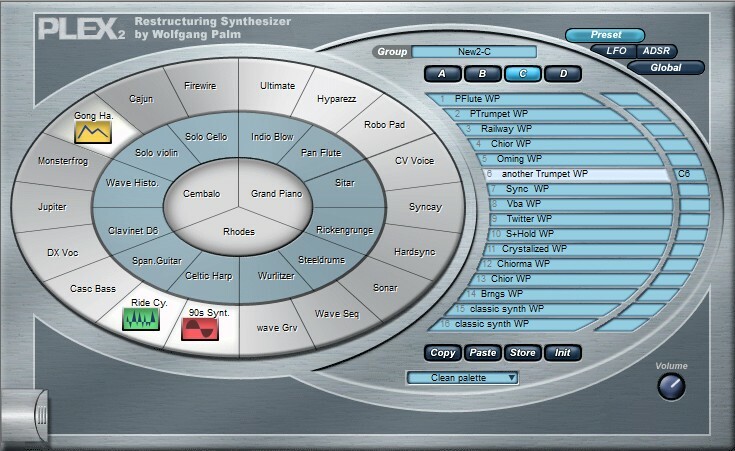 Those of you who love classic synths as much as I do probably know the name of Wolfgang Palm, the genius behind the revolutionary PPG synths, and later Waldorf. However very few people seem to know of the unique software instrument he designed a few years ago called Plex. It’s been one of my favourite virtual instruments for years, allowing the creation of wonderfully organic yet unique sounds via a drag & drop palette. Y’know, even after 25 years in the professional music business, and many tours and records with great musicians etc. I still got a huge thrill when Andy Gill called me on the phone this morning. Probably my favourite guitarist of all time. Funny thing was, I even playing Gang of Four’s I Party All the Time when he called. gillmusic.com | The production and studio site of Andy Gill Gang of Four. How did I miss the Made with Studio One group on Soundcloud until now? Standout tracks so far are Drachmae’s Handiworks and Luis Toniolo’s Second Thoughts. Nice work guys. If the hundreds (thousands?) 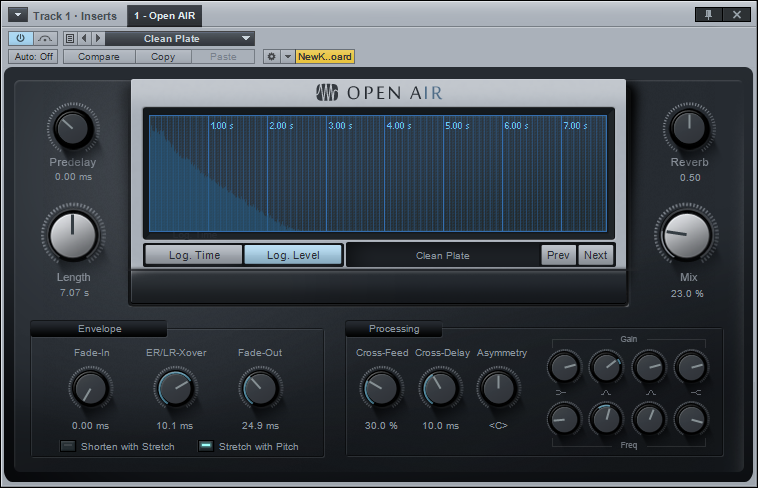 of reverb unit presets shipped with Studio One 2.0 still aren’t enough, check out this list of reverb Impulse Responses for download. I haven’t tested them all out myself yet, but I assume that they should work fine with OpenAir. As a lover of big-sounding 80s music I will be downloading some today to listen to for sure. The remarkably talented Florian just posted some Studio One wallpapers. Download and enjoy!